On December 19th, I will have joined several others for an exciting day of counting bird species and numbers in our lovely, snowy valley. Our numbers will be entered on a database that will be shared with the world. 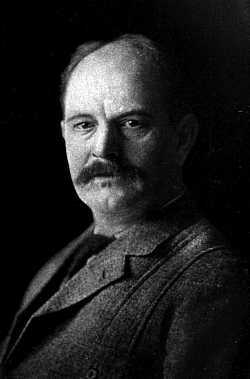 The Christmas Bird Count began on Christmas Day in the year 1900 when ornithologist Frank M. Chapman, an officer in the nascent Audubon Society, proposed a new holiday tradition—a “Christmas Bird Census” that would count birds during the holidays rather than slaughtering them, which had been the past ritual. 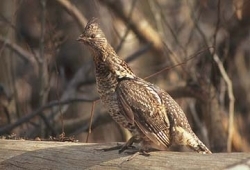 The data collected by observers over the past 115 years has allowed researchers to study the long-term health and status of bird populations across North America. When combined with other surveys such as the Breeding Bird Survey, it provides a picture of how the continent’s bird populations have changed in time and space. This long term perspective is vital for conservationists. It informs strategies to protect birds and their habitat, and helps identify environmental issues with implications for people as well. 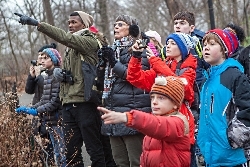 Along with the fun it brings, this year’s count will have special significance for our local Audubon chapter which was awarded a National Audubon grant for “spreading the word” on our changing climate’s impact on birds. Through the grant writing and implementation I have a heightened awareness of how bird populations and their spacial distribution are changing at an accelerating rate. Audubon’s 2014 Climate Change Report is a comprehensive, first-of-its kind study that predicts how climate change could affect the ranges of 588 North American birds. Of the bird species studied, more than half are likely to be in trouble. The models indicate that 314 species will lose more than 50 percent of their current climatic range by 2080. The Environmental Protection Agency (EPA) has included Audubon’s climate change work from CBC data as one of 26 indicators of climate change in their 2012 report. 142 species of concern are found in Utah including our state bird, the California gull and our the bald eagle, our national bird. Averaging the most recent 10 years, our valley has seen 16 species increase and 11 species decline. Of course we would need a take a much broader sweep to know the true story of these species, but our data may play a significant part in the overall analysis.